Cavy lice, sometimes referred to as running lice, are host specific and need a guinea pig to survive. 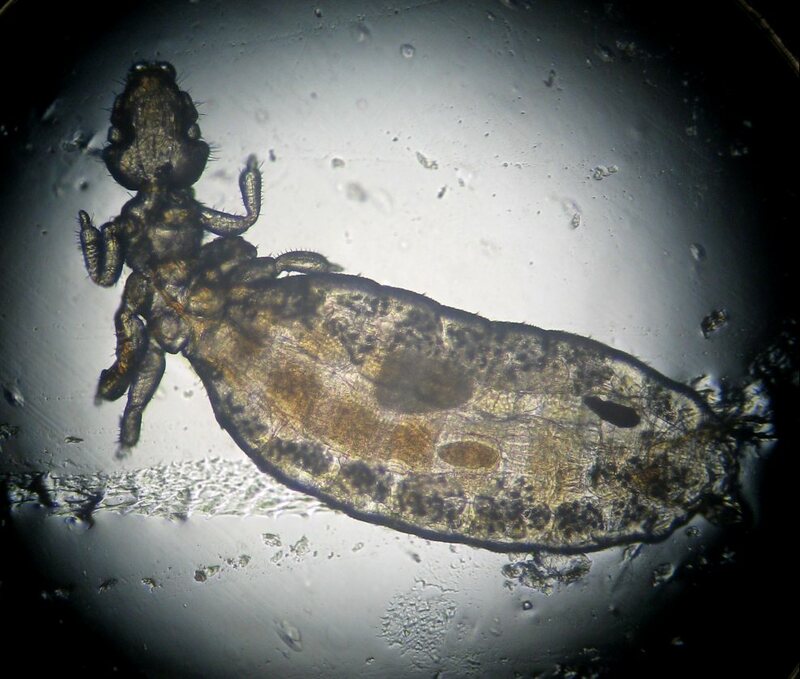 These lice are considered chewing lice, not sucking lice, and actually abrade the skin to obtain fluid. The most common type of louse is Gliricola porcelli. This is a slender, flattened, light colored (white to pale) insect about 1 to 1.5 mm in size with no wings. The lice can be seen moving through the fur near the skin and, in heavy infestations, around the eyes. Lice are typically found around the head, neck, ears, and rump. The life cycle of lice is about three weeks. Transmission normally happens through direct contact with another guinea pig or contaminated bedding or other equipment. A person carrying an infested animal can also transfer eggs or lice from their clothing to another animal. The Rutgers Cooperative Extension fact sheet “Common Mites of Your Rabbit and Small Animals Part II – Cavy Lice” provides an overview of the types of lice, how they are transmitted, life cycle, signs and symptoms, and treatment. New Jersey 4-H provides educational outreach programming for youth in grades K-13 (one year out of high school) through 4-H clubs, special interest programs, school enrichment, afterschool programs, and overnight camping. Regardless of the subject matter – whether it be science, healthy living or citizenship, 4-H uses a learn-by-doing approach to help youth learn responsibility, community awareness and character development. New Jersey 4-H Youth Development is a department of the Rutgers New Jersey Agricultural Experiment Station. Copyright © 2019 Rutgers, The State University of New Jersey, is an equal access/equal opportunity institution.